Wood Truss System Failures - What Questions Should You Ask? Wood truss system failures can occur for a variety of reasons, some of which can be blamed on human error, and others on high winds or strong storms. When determining the true cause of a wood truss system failure, it is important to look out for certain factors and ask specific questions that may help in getting to the bottom of what went wrong. By focusing on certain questions, any injured person may learn important information that can help to determine if any person or party was at fault for a wood truss system failure that resulted in personal injuries. Who was the contractor responsible for overseeing the temporary wood truss bracing? Who was the engineer responsible for overseeing the permanent wood truss bracing? When did the wood truss system fail? Was it during the installation process or after? Did weather play a role in a wood truss system failure? Were the contractor and engineer familiar with industry standards and guidelines? Were the contractor and engineer qualified to install the wood truss system and the required temporary and permanent bracing? Were there any missing or misaligned metal plates connecting the wood trusses? Were any metal plates or joint connectors pulled out of the wood trusses? Were any of the wood trusses damaged before installation? Were any of the wood trusses altered without the approval of a registered design professional? Was anyone else injured from the wood truss system failure? As you can see from the questions above, evaluating wood truss system failures and injuries associated with those failures can be very complicated. As such, speaking with an attorney about your situation is the best option to find out if someone else is at fault for a wood truss system failure that led to injuries. It can be difficult to investigate matters on your own, especially because there are specific guidelines and standards governing the wood truss system industry. Additionally, there is a lot of misinformation on the internet, so speaking with a licensed and qualified attorney will help to ensure you are receiving accurate information regarding your legal rights. Wood truss failures have the potential to cause catastrophic and sometimes fatal injuries. If you have suffered personal injuries resulting from wood truss failures, or if you have lost a loved one as a result of fatal injuries, it is imperative that you act quickly if you wish to speak with an attorney. 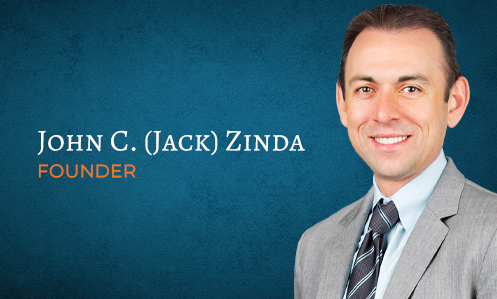 To learn what legal options may be available to you, contact Zinda Law Group to speak with one of our Personal injury attorneys. Schedule your free consultation today by calling (800) 863-5312. You may also complete a case evaluation form or you may also participate in a 24/7 chat to have your questions answered.